Whether you are writing a blog post or a book, an article or a movie, you need a title that will get your work noticed and draw people in to read or to view. There are several tactics you can take, some more suited to one medium or another. Here are a few of them. Alliteration doesn’t have to be just for books titles. Movie titles, blog post titles, article titles – anything can benefit from alliteration. Here is one blog post title I wrote that makes partial use of alliteration: A Sneak Peak at the leaked CIA Style Guide. We might rename this post “Help with headlines” for a little alliteration. A single word or name sounds important. That’s it. Just one word says it all. No need for explanation; it’s that simple. At the same time, you will notice how many of these are named after the principal character, setting up readers and viewers to follow the lead character’s point of view before they even open the book. Similarly, placing “The” before a word makes it sound more important. There are many firms, but this book is about “The” firm; all others are irrelevant. There might be many wizards in Oz (actually, there turned out to be plenty of other magic folk if you read through the whole series), but this book is about “The” wizard. The importance angle works well for books and movies, and less well for articles and blog posts. Why not rename this blog post “The Title”? Maybe not. Stop playing games and just tell people what is inside the book or in the article. What can they expect to read about? What is the book about? It’s about the art of happiness, how to do things to be happier. What is the book about? It’s the story of the last of the Mohicans. What is the book about? It is about the origin of species and how life evolved from them. No need to rename the title of this blog post to be informative, because this is exactly the style I used to name this article. Some titles are not about the topic or the character, but rather about the setting. This gives us a very clear sense right off the top that the setting itself is almost the most important character. Could you make a setting the title for an article or blog post? Yes, although you might not want to be so brief: “The playground where I learned to fight.” could be a great title for a post about how you never let things defeat you, for example. If I was to rename this blog post for its setting, I would have to call it “My Messy Desk”. I think not. Sometimes you want to get people in the mood for what you have written. You want them to have a sense of what to expect, but you don’t want to come right out and tell them. Mood titles do that. You get a sense of what’s inside, but these mood-setters are way more intriguing than Heartwarming Stories to Comfort You or Your Future Predetermined or The Future Will Rip You Apart. Hmm. I am not sure how I would rename this blog post to capture its mood. Any title ideas in this style? Believe it or not, this works also for articles and reports and blog posts. For instance, we might rename this blog post “The One About Writing Titles”. You can be as creative as you wish with your book, blog, screenplay, report or article title. You do not have to follow these six approaches at all. But if you are stranded for a good title, pull out this list to help get those creative juices flowing. Title is always first point of attraction. I have recently tried too many titles on my blog (BloggingCage.com) and found few of them converting much better than others. As you said “Informative,” I think this is the must have ingredient for any blog title. You cannot draw people if you are not able to convey your message in an informative way. 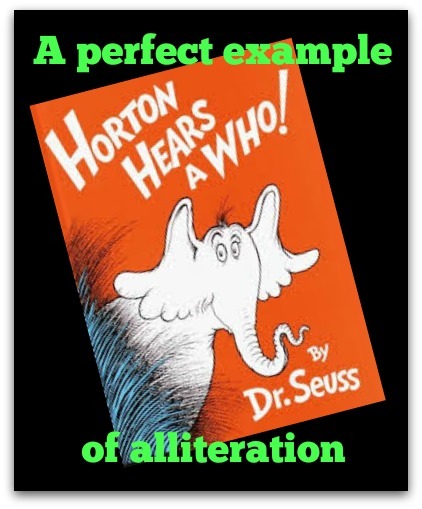 Only Horton Hears a Who is actually an example of alliteration here. Dr. Suess rarely used alliteration in his titles, though he took WIDE advantage of rhymes and repeating words. You got me. That is in fact correct. the one idea that really caught my eye was alliteration. I never really thought about making titles similar to Dr.Seuss. It’s different it makes it more fun for the audience. I do believe in mixing it up a bit and not being so monotonous. This keeps the crowd more interested and in suspense for your posts! Thanks for sharing David and I hope you’re having a great weekend! The idea on alliteration is truly revealing. I wonder if it can really be employed when creating blog posts or articles. It might be suitable for movie titles but a lot of creativity would be employed to achieve same results with blog posts – Yes, the latter needs more explanations! Nevertheless, it is still necessary that we understand and employ many options when constructing acceptable post title. The six examples shared can be added to our stock of “title package”. This comment as left in kingged.com as well. Great post once again David! As writers we most definitely know how important it is to find the right title, but even for us, it’s not always an easy task. Right now I am finally working on a personal development book that I started a couple of years ago, but at the moment of me writing this, I can’t seem to be able to come up with a good and unique enough title. That’s when you start thinking, what title could I come up so people will understand that this book will help them. So I guess i need to find inspirations reading articles such as this one.